CHICAGO (WLS) -- Nearly three days after a violent fugitive being deported to his native Senegal escaped from federal agents in New York, he was arrested Friday afternoon in Chicago's West Loop. 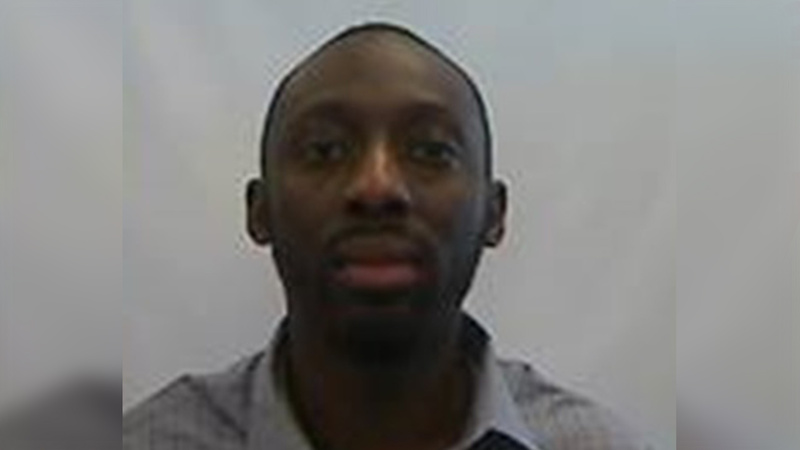 Mohamadou Lamine Mbacke, 31, had bolted from Immigration and Customs Enforcement custody at John F. Kennedy International Airport on Tuesday evening and got into a cab. He was seen on video escaping the scene, law enforcement officials said. Mbacke was described as dangerous and ICE officials warned anyone who saw him not to approach. He had multiple prior violent convictions and nearly a dozen arrests in New York City during a four-year period. ICE agents had taken off Mbacke's handcuffs at JFK airport. Sources told our sister station WABC-TV in New York that the officers had gotten him something to eat as they waited for his connecting flight to Dakar. They apparently turned their backs for a split second, and he was gone, WABC reported. Mbacke entered the country lawfully in 2005 according to ICE before violating the terms of his status. He was ordered deported in September 2015 by an immigration judge. He has previous criminal convictions for multiple weapons and firearms offenses, according to an ICE spokesperson. He was also arrested 10 times in New York City between 2006 and 2010. The 6 foot 3 inches tall, 190 pounds fugitive was arrested at a coffee shop near Union Station by ICE officers in Chicago. The arresting agents were with the Enforcement and Removal Operations (ERO) Fugitive Operations team. He will be sent to Brooklyn, NY to be processed on the escape charges and then returned to Senegal, immigration sources say.